I have a bachelor of Music from Berklee College of Music in Boston. I have 20 years experience performing, composing and recording. Will teach you guitar, piano or bass in any given style. I'm great with music theory and ear training, and will work to make you a better musician. I perform regularly around California. I'm a firm believer in learning music through songs, and it's the student's favorite music that will keep the student motivated. I do my best to communicate my passion about music to the student. My lessons consist of ear training, sight-reading, and music theory. Teaching studio w/ guitar, piano, bass and amplifiers. I have my own guitar, bass and amplifier if needed. Bachelor of Music in Electronic Production and Sound design, with a principal in guitar. 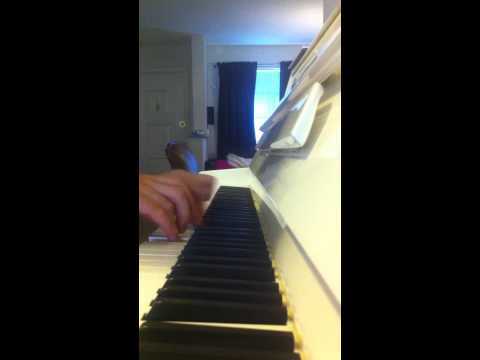 JS Bach Invention 1 in C Major. Very thoughtful instructor. He can recognize your style of music and help you learn to play it. Adam is very skilled and friendly. My son is enjoying his lessons. Thanks! Adam was on time and seemed to have a good connection with my son! Did a great job, my son has had the motivation to practice and is excited to learn more. After only a couple lessons it's already clear Adam is a highly effective guitar instructor. He's been very quick to recognize the strengths and weaknesses in my playing and has catered our lessons to accommodate me. As such, my playing has already improved far faster than with the online lessons / apps I was using before finding Adam. There's just no substitute for one-on-one human interaction, especially with someone who's as patient and thorough as Adam. If you're looking for a guitar teacher, look no further - you've found your guy. Adam was great! Loved my first lesson! Adam is a great guy, a comfortable, helpful, casual and cheerful young man who really knows his stuff and presents it in a clear, slow and methodical way. The first lesson was a pure pleasure. I'm looking forward to more. I am a professional musician, playing several different instruments and singing most of my life. I never picked up the guitar until a year ago. I'm not the traditional student who wants to learn rock 'n' roll, but am instead a lover of classical music. From day one, Adam worked with me to find out my skill level and taste in music. He challenged me to learn amazing pieces, played in finger style #I highly recommend#, and even taught me a few songs from the rock genre. Adam has a cool demeanor and makes learning guitar interesting and fun. What I learned from Adam in just a short time amazes me, and I know he can teach even the most challenging student. Adam is charismatic, enthusiastic, super educated, and dedicated to teaching! He's a great professor overall and is always looking to find better ways to fit your learning style. I've had dozens of music instructors throughout my life and Adam is definitely one of the best! Wow!! Always prompt, makes it fun, listens to my daughters music interests and caters the lessons to that. What a great guy. My daughter practices her guitar everyday thanks to Adam making it fun. You want your child to learn an instrument,have her/him take lessons with Adam. I am very satisfies with the lessons that Adam provides to my daughter.